To prevent unnecessary exposure to air and humidity, which can rapidly degrade food and increase risk of bacterial contamination like Salmonella, pet food should be sealed in a safe container after every feeding. 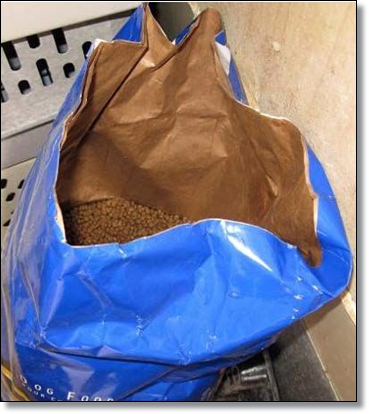 If your pet eats dry kibble, this may very well be the original packaging if the top of the bag is folded securely. High quality pet food bags have been designed to keep out the elements and maintain its freshness for as long as possible. If you want to store food in a plastic container, the best option is to use the original bag and place it in a plastic container. 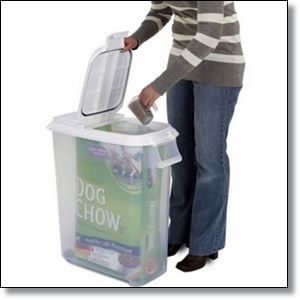 If pouring food into the container, you should purchase a food safe. It must be cleaned and dried very well when the container is empty. The oils and food will expire and could cause issues with palatability and GI upset when stored in a non-food grade container. How long dry food can be left out will vary depending on the food and manufacturer. Some companies use natural and artificial preservatives that generally are good until expiration, even when open. The best recommendation is to contact the manufacturer to find out the recommendation for your pet’s specific food. Canned food, once opened, can be left out from 2 to no more than 4 hours. Any unused canned food should be immediately put in the refrigerator. Contact the pet food manufacturer to find out their recommendations for how long the food can still be fed once opened and placed in the refrigerator. Ideally, unopened dry and canned foods should be kept at room temperature and away from heat, humidity and infestation. 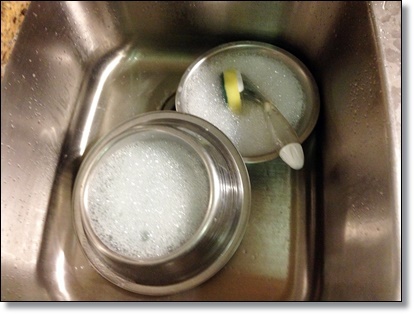 How often do you wash your pet food bowl - Every week? That’s not bad, but the Food and Drug Adminstration (FDA) actually recommends washing pet food bowls, dishes, and scooping utensils with soap and hot water after each use. This is to prevent infectious agents such as Salmonella or Listeria from accumulating on the items. 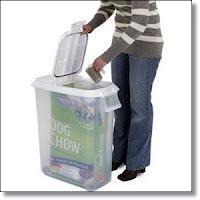 If you use a plastic container to store your pet food, wash the container when empty, and make sure it is completely dry before adding new food. Left unsupervised, children and pet food simply don’t mix. 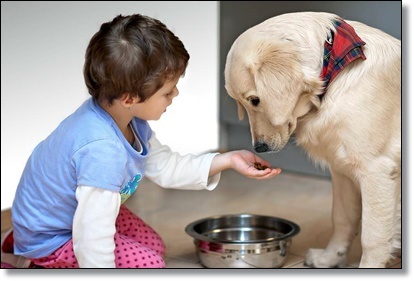 Kids tend to be less reliable in their sanitary habits before and after handling pet food and they are more likely to incorrectly measure an appropriate meal for your pet. This can harm both your child (exposing them to dangerous infectious agents) and your pet (promoting overeating and issues with obesity). 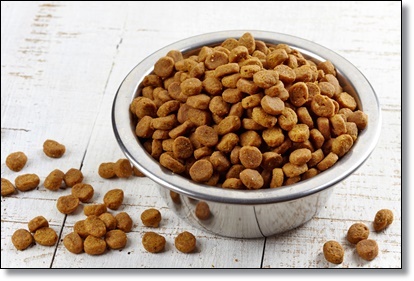 Pet food expiration dates (sometimes known as “best by” or “use by” dates) are established to ensure the safety of the food for your dog or cat. These dates are often found on the side or the bottom of the pet food package or can. Can’t find the date? Call the pet food manufacturer. They can easily instruct you as to where the expiration date can be found. Don’t take the risk by feeding your pet expired food.